Nowadays, making money from sports betting has never been this easier thanks to the one called internet. Now more and more people are joining sports betting websites. This is why the existence of sports betting sites like BettingTop 10 is really vital these days because it can show you the best and the most trusted sports betting websites available right now around the internet. Thankfully, today, joining sports betting sites can be done so easily right at your fingertips. And that's by using sports betting apps on your Android tablet. There are tons of great sports betting apps available right now on Google Play Store. 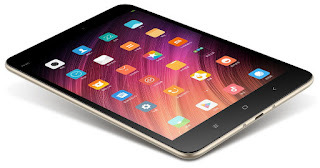 And if you happen to own a powerful tablet like Xiaomi Mi Pad 3 Tablet, then lucky for you. It’s got a high resolution display, a decent looking UI and a top notch performance. 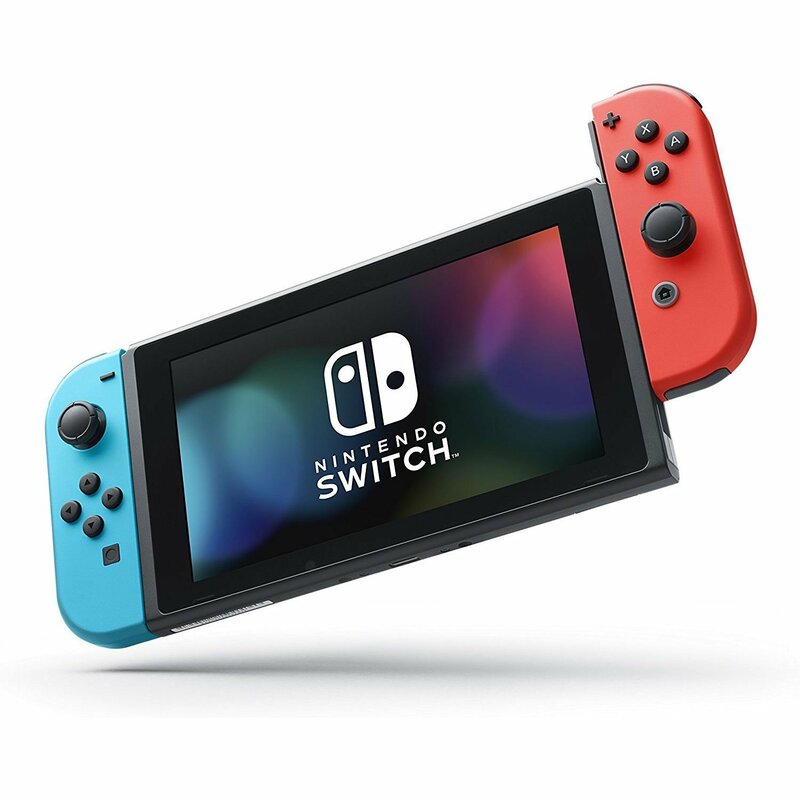 So it can be a perfect device to run any of your favorite sports betting apps. 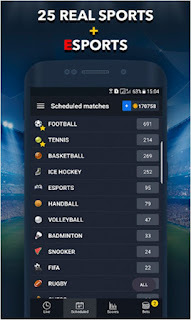 But the problem is, from all of the sports betting apps available right now on Google Play Store, some of them fall short when it comes to giving users the most comprehensive information about the teams that are currently playing on the field. And their winning ratio is also not that great. This is very crucial because in order to be able to decide which team that’s gonna win the match, we need the most up-to-date information about the teams as well as the most accurate prediction. 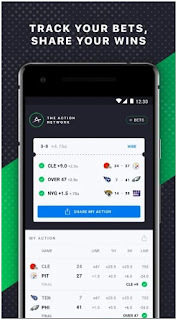 If you’re looking for the best sports betting app on Google Play Store, then this is definitely the one you’re looking for. It’s called SPORTS BETTING GAME – BETUP. 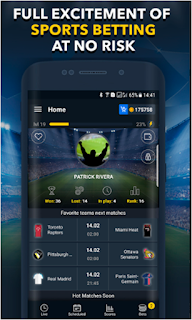 It is one of the best looking sports betting apps we’ve ever seen on Google Play Store. It looks quite elegant and modern with dark color dominating all over the UI. The coolest thing about this app is definitely the wide variety of sports that you can choose from and place your bet on, with up to 25 sports and eSports. From football (of course), tennis, basketball to ice hockey and a lot more. 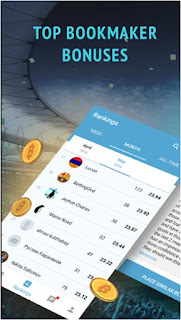 This app is currenty one of the most popular sports betting apps on Google Play Store with more than 500.000 downloads. So we have no doubt to place this app on the top of our list. Another great sports betting app is the one called Betting Insider. But unlike the one aforementioned above, this app only provides you the tips, predictions and analysis about sports betting. So you cannot bet you real money through this app. The great thing about this app is that it provides the most comprehensive information about the match and the teams that are currently playing – from lineups, tactical formations to live feeds during the match in real time. There are also betting tips from experts of many kinds of sports that hopefully will help you with your decisions when placing your bets. There’s also push notification feature thrown in this app, making sure that you won’t miss any opportunity every single day. Betting Insider offers really simple user interface. But it’s got the complete package of information about sports betting, as well as predictions and analysis. So no wonder if this app comes in second place of our list with more than 100.000 downloads on Google Play Store and 4.8 stars out of 5. BetsWall definitely deserves to be on our list mainly because it provides one of the best tips about sports betting and predictions with winning ratio of more than 89%. 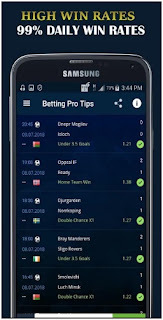 According to what we’ve seen on the testimonials section of the app, many users are mostly satisfied with the betting tips and especially predictions offered by this app. So no wonder if BetsWall has been downloaded by more than 100.000 Android users and has received 4.5 stars out of 5, which is excellent. BetsWall comes with really simple UI dominated with white and green colors. 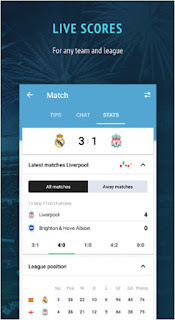 This app is also very straight forward and simple when it comes to giving information and betting tips about the teams that are currently playing. So everything can be found on one page – which is nice. The other thing that we really like about this app is its ability to predict every match using their own artificial intelligence software that they have developed for years. 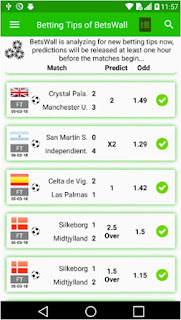 And with more than 89% winning ratio (as they claim), and how users are satisfied with this app, then we have no single doubt to put BetsWall on the third place on our list. 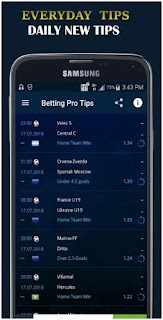 Besides the one aforementioned above, another great sports betting app called “Betting Pro Tips” can also be one of the best options for you. And just like BetsWall, this app also ONLY offers tips about sports betting. So you cannot place your bet with real money through this app. We kind of like the user interface offered by this app. 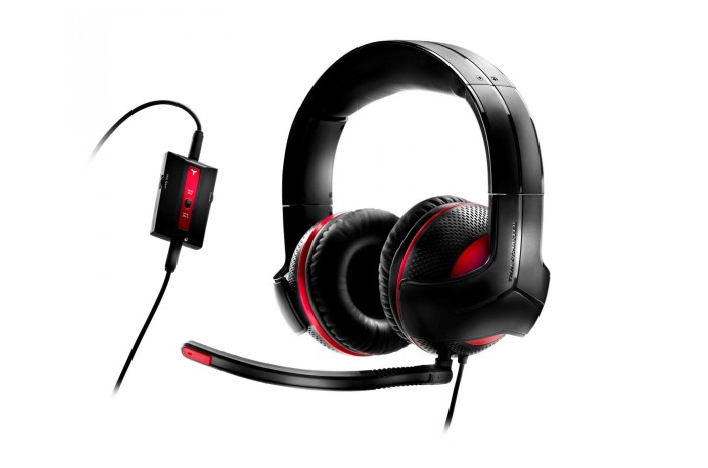 It’s really clean, simple and it looks well-polished, making it so addictive to use. 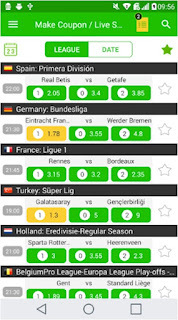 But of course, the most important aspect that makes this app so great is definitely the information and tips as well as analysis about the teams that are currently playing. According to the developer, they have their own professional analysis team and their algorithm to give the best and most accurate predictions and betting tips to users. Unfortunately, this app is pretty limited to only soccer and basketball games. So if you are a huge fan of rugby or other sports, you may need to look elsewhere. This app currently has gained more than 50.000 downloads on Google Play Store – which is pretty impressive. But the great thing about this app is, vast majority of users are satisfied with this app, as shown on the testimonials section. And it’s also received 4.5 stars out of 5. So you make no mistake if you make this app your companion before placing your bet. This app can also be another great alternative for you. Action Network is developed by Sports Action, Inc and it has received 4.7 stars out of 5 from its users. It mainly offers sports betting tips, predictions and analysis from professional bettors. 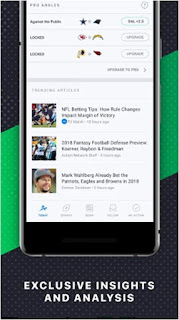 One thing that we really like about this app is the news section, which provides users the latest most up-to-date news about popular sports they are interested in. So hopefully, it can help you decide which team that has the tendency to win the match. 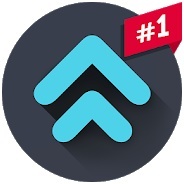 Action Network currently has been downloaded by more than 10.000 users on Google Play Store. It may not be that huge compared to other sports betting apps aforementioned above. But even with that small amount of downloads, it manages to receive 4.7 stars out of 5. So we have no doubt to recommend this app to you. There you go guys, 5 great sports betting apps that you can get right now on Google Play Store. Hope you like what we've shared in this article. Of course there are still many other sports betting apps that also deserve to be placed on our list. So if you have other recommendations that you would like to share with us, don' hesitate to share them all here down below on the comment section.